October 2018 will mark a decade of our firm working in the Middle East. From now until then, we’ll be celebrating this milestone with a range of unique events and anniversary activities. This is the first in a 10-part series of people pieces, in which Hoare Lea employees and partners share their personal stories of working in the region. How did you come to work in the Middle East? My wife! I began working for Hoare Lea in 2011 at the London office. 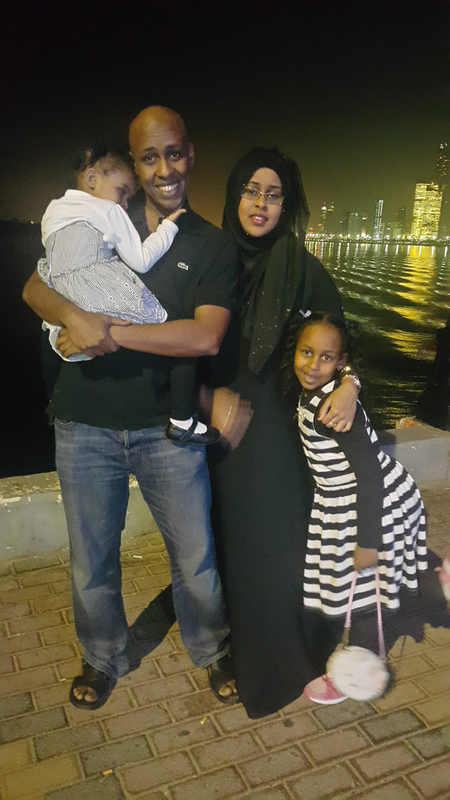 While on holiday in Dubai, I met my – now – wife, who was born there. A year later we were married and she moved to London where we had two beautiful children. After a while though she really began missing her family. I therefore requested to move to the Abu Dhabi office, and was interviewed for a position that opened up. I moved out in August 2014 and was only planning to stay for a few years, but I haven’t looked back! …and what made you stay? I grew up in Camden, where almost all my friends and family still are, so I never expected to want to stay here in Abu Dhabi permanently. However, I now can’t imagine being anywhere else. I’ve settled, made fantastic new friends, and the culture of our office makes it feel like we’re a family. I just love it here. Describe your experience of living in the region. Everything is different – from how we work on projects to how we interact with our clients… but that’s incredibly exciting. Before I moved here, I held the (common) perception that it’s an overwhelming strict place, so my first surprise was how free it was – with pubs, clubs, and socialising – there’s so much to see and do. It also has much more relaxed timescales… I go with the flow now! It’s also a truly beautiful country to live in. Everyone helps out when people first move here – sharing advice for settling in and for the best places to explore. What opportunities have you had since moving out? In terms of career progression, I’ve found the opportunities to be abundant. Because our office is smaller than most of those back in the UK, I’ve taken on a lot of project and risk management – engaging with our clients on a daily basis. Having been a Senior Engineer when I moved out, I’ve just been promoted to Associate. My work is incredibly varied and involves keeping in touch with our UK offices to ensure they understand what’s needed on each project. The latter has led to me helping to craft specific design guides for the region – to ensure knowledge of Middle East regulations can be shared across the firm. Having my third child, who was born out here – I now have three wonderful girls.